…and in today's post, I'm going to correctly show how you can make sure your vaporizer will always produce vapor of a sick quality. This starts with getting the right vaporizer. But also using the proper techniques. Vapor quality WILL make or break my vaping experience. But what is vapor quality anyway…? Flavor – the taste of the vapor produced. So let's get on with it…starting first with how you can recognize a potent vaporizer. What Makes a Vaporizer Potent? What Makes a Vaporizer Flavorful? 1. 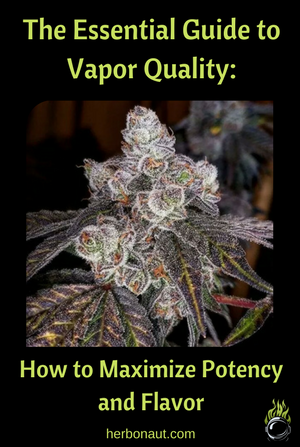 What Makes a Vaporizer Potent? You already smoke the herb and are turning towards vaping to give up your…BAD HABIT. Or maybe you don’t smoke the herb yet, but you are attracted to it and vaping it just sounds like a better option than smoking it (spoiler alert: it is). Either way, the single most important reason you’re attracted to marijuana probably is because of its medical power and effect. You'll learn, what YOU can do to amp up the potency of your vaporizer. 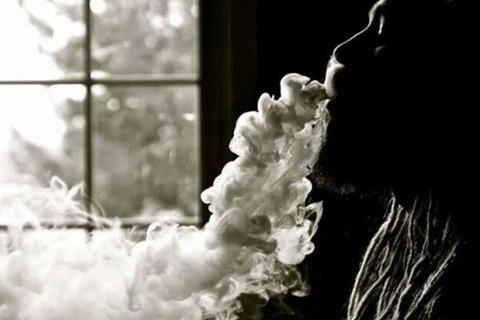 We all know potent vapor when we see it…it's thick, it's dense, it's milky and hits like a truck. But how to technically define it? The technical definition of the potency of your vapor is the cannabinoids-to-air-ratio of your vapor. Cannabis has many different types of compounds, and only one of them is cannabinoids…so why cannabinoids? Although cannabis has many different medically active compounds in it…cannabinoids are the type of compounds mainly responsible for the special effects (psychoactive and physical) of marijuana. The more cannabinoids you will have in your vapor, the stronger the medical effects of your vapor will be. I cannot scientifically measure the cannabinoid-to-air ratio of vapor. I can measure unscientifically…how potent the vapor is, coming out of a vaporizer. Note: Keep in mind big and dense clouds don’t necessarily have a higher cannabinoids-to-air ratio, but they will hit you harder. So what makes direct-draw, convection desktop vaporizers with a powerful heating element produce potent vapor? Direct-draw inhalation reduces the potential of condensed vapor building up in wands/whips, and you're closer to the source, leaving more PURE vapor for you to inhale. All these variables contribute to you getting the densest, hard-hitting clouds with highest cannabinoids-to-air-ratio in a single draw/hit/rip. Some variables will have a more significant impact on the cannabinoids-to-air-ratio of your vapor, and these are controllable by YOU! Yes, captain obvious has arrived…but you’re not going to get potent vapor with low-quality weed. How do you recognize potent herb? Potent weed is phenomenally cured (slowly dried), compact, firm and most importantly: extremely easy to grind. 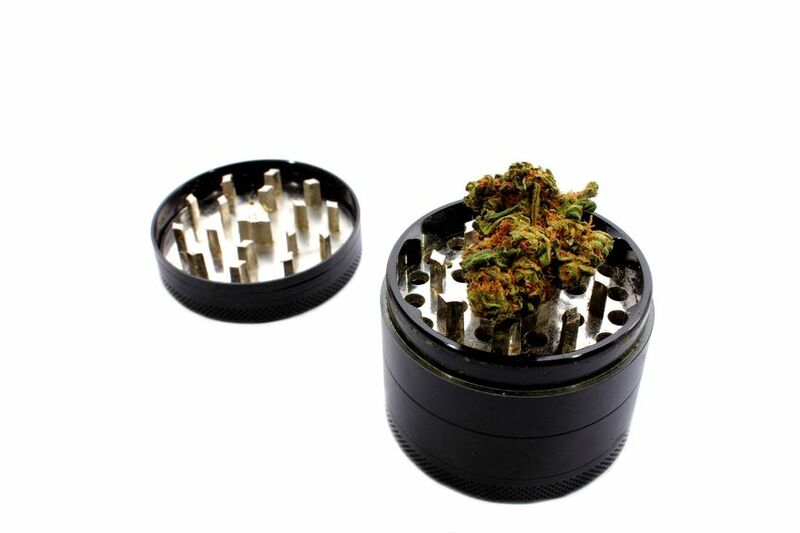 Just grind your herb as fine as possible. No concessions here. A medium to fine grind is best usually. You want all the trichomes (crystals) of your herb loosely distributed through your bowl so the hot air can permeate every single trichome on its path to your lungs. Tip: Another method is to put your herb in the bowl unground, take a few hits, and then grind and stir it to a finer level in your bowl. The first few hits will be very tasty, while the rest of the hits will be dense. Although the grind of your herb is the most important in using a vaporizer and potent vapor production, you should learn all the necessary tips on how to use a vaporizer properly. Moisture hinders the vaporization process severely. The potency of your vapor will take a big hit. Some ways you can quickly dry your herb can be found here. Just like with your body, to keep it functioning properly and let it keep producing large and potent clouds of vapor, you need to clean your vaporizer up regularly. 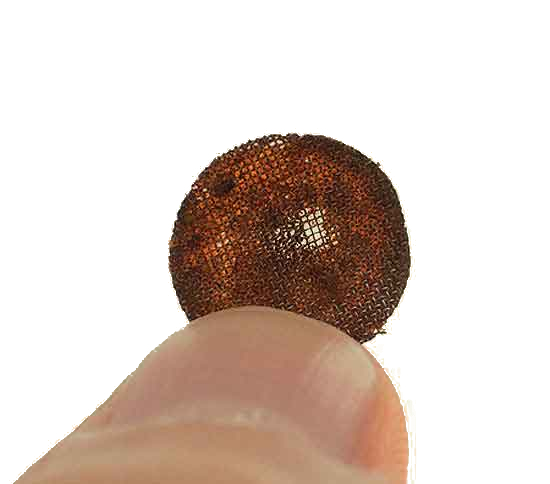 Don’t let any resin build up in any parts of your vapor path and especially keep your bowl and the screen in your bowl clean. 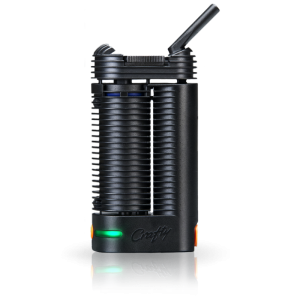 Some vaporizers are harder to maintain than others, read our vaporizer reviews to find out about each particular vaporizer. The higher the temperature, the more potent the hit. …unless you take measures like using a water filtration system! If you want to go for those extremely potent hits (keep in mind: you risk getting more carcinogens in your vapor this way), get a vaporizer which can easily reach temperatures up till 446°F / 230° C, which is close to the combustion point of marijuana. 3. What Makes a Vaporizer Flavorful? But also for the divine taste of the beloved herb. As a true connoisseur, you’ll want to preserve that sweet and mouth-watering taste to the best of your ability…and let all the flavanoid, terpene and cannabinoid molecules of your herb blast your taste buds with all their different and blissful flavors. And some sort of vapor cooling. But now you want to know WHY these characteristics are the best for great tasting vapor. Plus you want additional do’s and don’ts to keep that flavor of your herb on a divine level. So what makes convection vaporizers with glass covered heating elements, an all-glass air path and vapor cooling the best tasting vaporizers? Hot vapor does taste kind of harsh, so you definitely will want some sort of cooling, whether this is water-cooling (which I like best), a cooling coil or a balloon, you’ll need something if taste is a top priority for you. There are things YOU can do (or rather refrain from doing) to keep the flavor of your vapor at a sensational level! Maybe you’re an ex-smoker and you like to keep smoking at least a little while vaping. You got your new vaporizer, you begin your vaping journey, but the taste is just lacking. 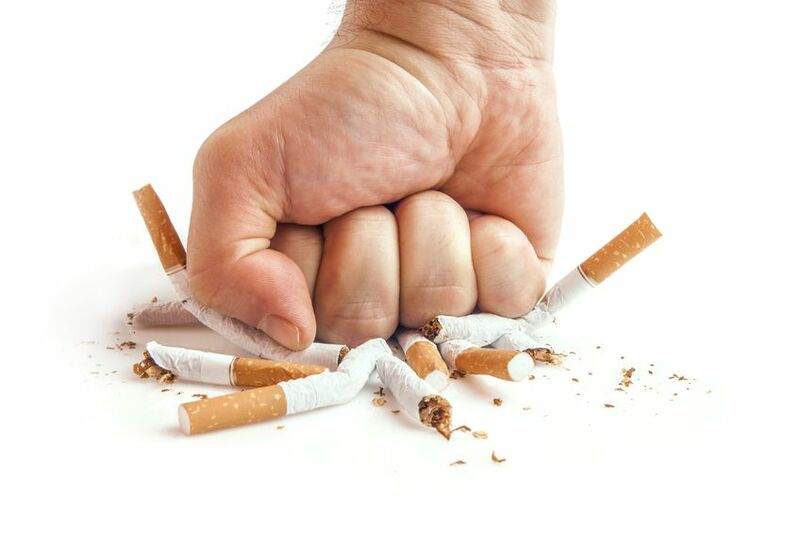 Give up smoking for at least 3 months! Smoking does not only damage your taste buds; it actually can kill them…and your body will need time to recover your taste buds, especially after an extended period of smoking. Vaping above this temperature will always add a bit of a harsh taste to your vapor, of course using some sort of cooling does help…but won’t always wholly mask the harsh flavor, especially after the first couple of hits. This temperature is not set in stone. Ultimately, you will have to experiment until you find your sweet spot. There are a gazillion vaporizers…and it can take some time to carefully scan all of them and filter out all the vaporizers that have the characteristics of a sick quality vapor producing vaporizer. Besides, you can’t tell the quality of the heating element without trying it out…you would have to test every vaporizer extensively and unfortunately, there is no easy way to try out every vaporizer for free (unless you know a collector like me). Feeling your pain, I present to you the top 6 vaporizers that produce the highest quality of vapor! 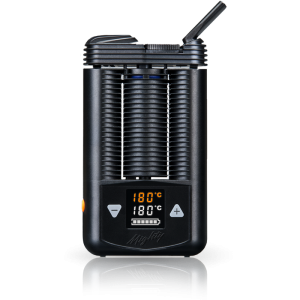 The common denominator in all of these vaporizers is a potent heating element providing convection heating at its finest (the desktop versions more so than the portable units). Note: Unfortunately there aren't any reliable studies on specific vaporizers and the cannabinoids-to-air-ratio of the vapor they produce. So when I recommend vaporizers on potency and flavor, it is fully based on our team's experience, the experience of other vaporizer enthusiasts that we know and user reviews. Call it pseudo-science, because none of this can be backed by hard cold evidence-based facts. 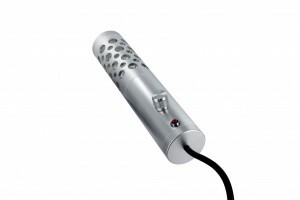 This direct-draw monster of a vaporizer is specifically designed to produce extraordinarily potent and tasty vapor. Currently, it holds the crown both in the potency category as well as the taste category (Vaponaut Desktop King of Potency & Flavor). What this means is you can’t make a better choice regarding vapor quality. How did VapeXhale design such an elegant beast? With the Hydratube you have incredibly convenient and effective water-cooling for smooth and cool vapor. IMPORTANT: use coupon code VAPONAUT10 to get 10% off your purchase. Tip: Get the Hydratube for best results! This beastly 7th Floor vaporizer is just right behind the VapeXhale Cloud EVO regarding potency and flavor. After their success with the Da Buddha and Silver Surfer Vaporizer, 7th Floor decided it was time for a direct-draw version of their widely renowned and extremely reliable vaporizers. Even after 5+ years it still is one of the go-to desktop vaporizers regarding potency and flavor! It is specifically designed to be easily attached to a bubbler/water-pipe. Strong but cool and smooth vapor is yours for the taking. Tip: Do get a bubbler/water-pipe like this one to get the most out of your LSV. 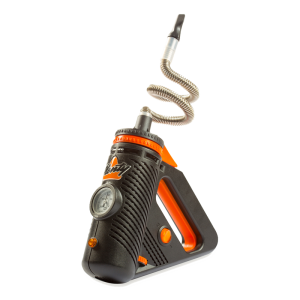 Another hand-held beast here, this time from Storz & Bickel, the makers of the world-renowned Volcano Vaporizer. This beast is so easy to use, there isn’t much you can mess up to get those extraordinarily strong and tasty hits. Although not making use of any glassware and known as a herb-hog the Plenty produces enormous, extremely potent and very tasty clouds of vapor. The stainless steel cooling coil cools the vapor surprisingly well. This vaporizer goes against all flavor rules…although it does have a plastic vapor path, it produces delicious hits all throughout your session. Although it’s not 100% convection, it produces incredibly potent and tasty hits. Definitely not a pocket-vape but portable nonetheless, the Vaponaut Portable King of Potency will enable any high-tolerance vaping soldiers to challenge their tolerance head-on. 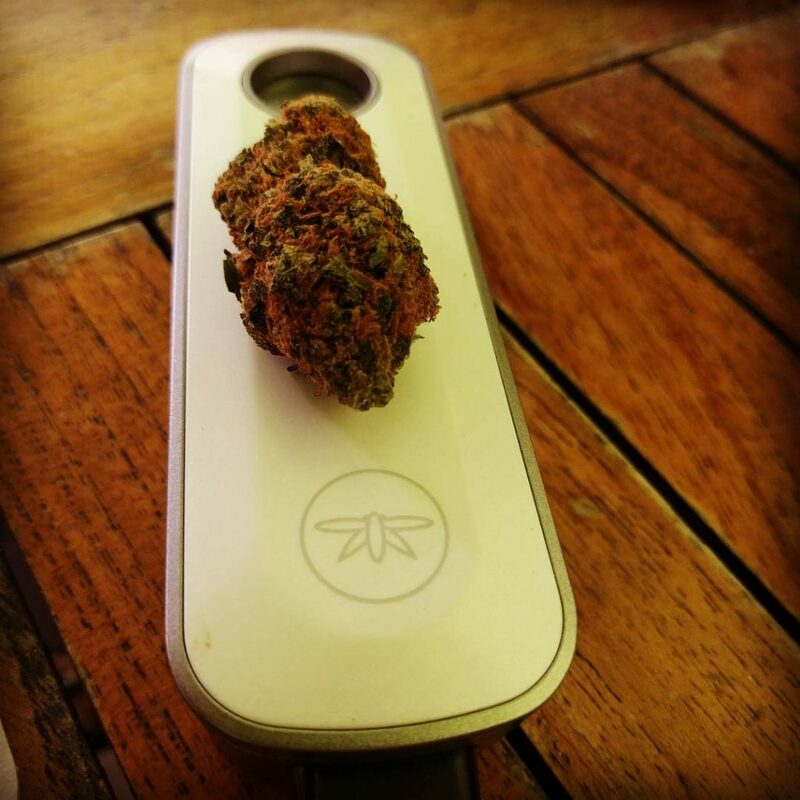 You get desktop performance with a portable vaporizer. There isn’t any technique involved either, grind, fill and vape it up. Keep in mind this is more of a session-vaporizer and not for quick on-demand hits. An integrated cooling unit on top, to keep the flavor relatively cool and smooth. The MIGHTY’s little brother. This tiny little war machine packs the same power and produces vapor of the same quality as its brother the MIGHTY, but is a pocket vape (smaller size, smaller battery thus also less cordless vaping time). It too carries the title of Vaponaut portable King of Potency. Keep in mind this is more of a session-vaporizer and not for quick on-demand hits. Also, we don't recommend the CRAFTY as a daily driver because of reliability issues. If you're looking for a daily driver go for the MIGHTY, it's a more reliable vape. This on-demand, elegant but beastly vaporizer is mainly known for its ridiculous good taste. Although you won’t get monster clouds like with the MIGHTY or CRAFTY, your hits will be of decent size and quite potent. Its glass encapsulated heating element, and glass vapor path keeps your vapor as pure as it gets. …the vape gods know where to find you. If you enjoyed this post and want more, follow us on Instagram, become a fan on Facebook and click share to spread this timeless and unbounded vaporizer knowledge ;-).